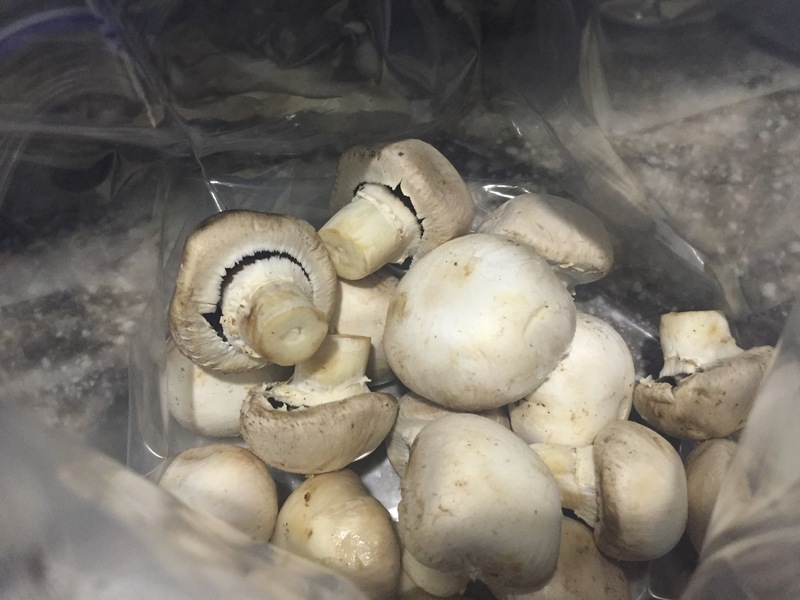 I’m planning to grill some chicken breasts for dinner tonigh that have been soaking in some balsamic marinade I came up with yesterday but I want to also grill these mushrooms I got for 69 cents at Aldi earlier in the week. I’m absolutely loving Aldi lately, they have such great deals on produce! 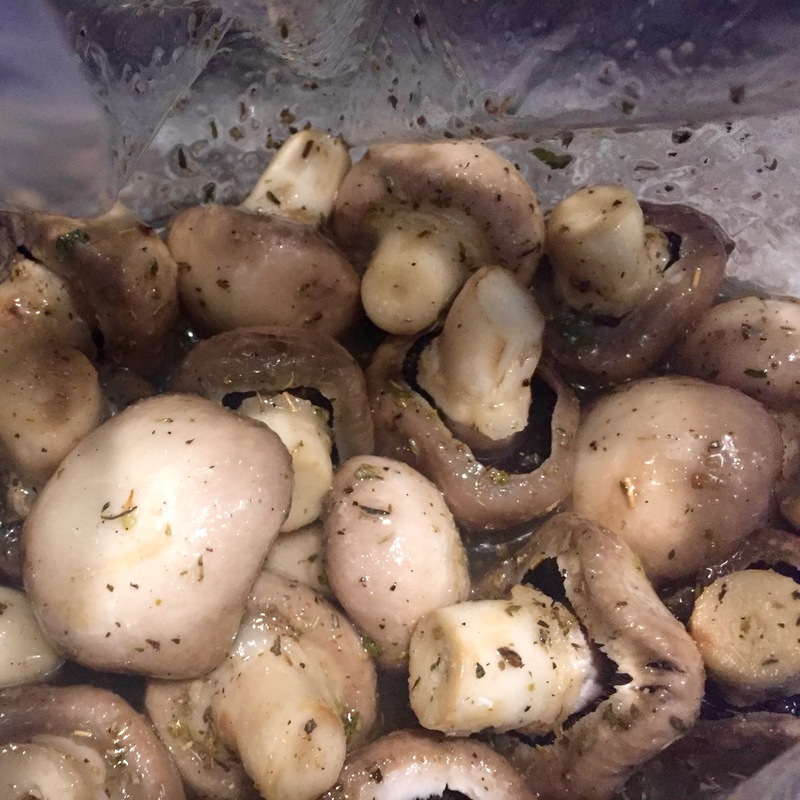 I can’t just throw plain old mushrooms on the grill so I was thinking Italian dressing marinated mushrooms might be delicious paired with my chicken. But, no Italian dressing in my pantry or fridge and Allen has the truck today. So… What else can a girl do besides Google?! 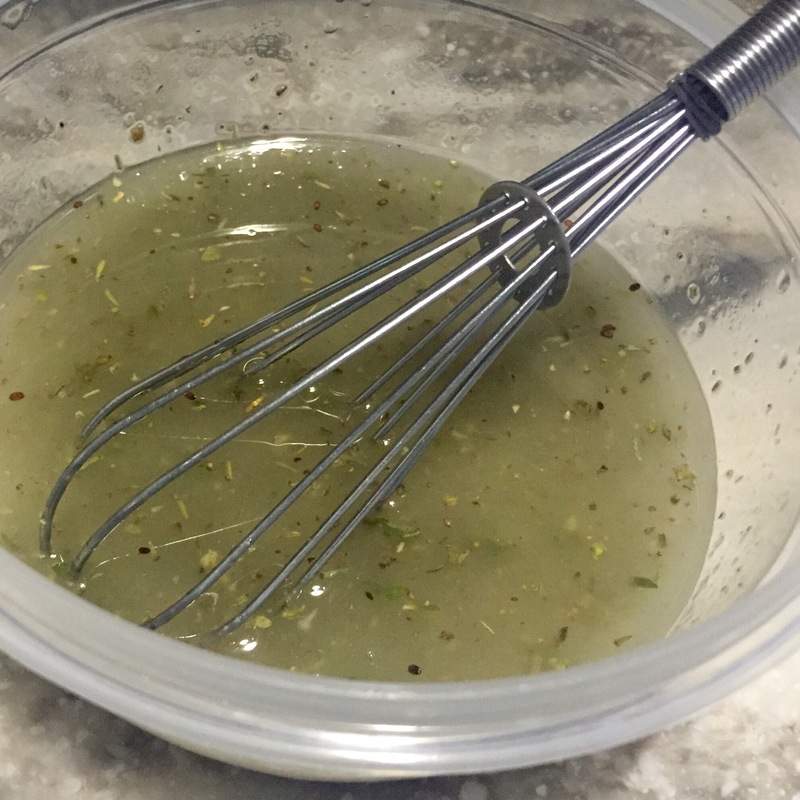 I found this recipe here for the marinade mix and actually followed it exactly. If you cook a lot, you probably have a well-stocked spice rack like I do. All these ingredients are staple spices for me so it was really easy to make. Mix all those really well. I put mine in an empty Italian seasoning jar I had. Whisk that together vigorously. Then add 2 tbsp of the mix. Voila! 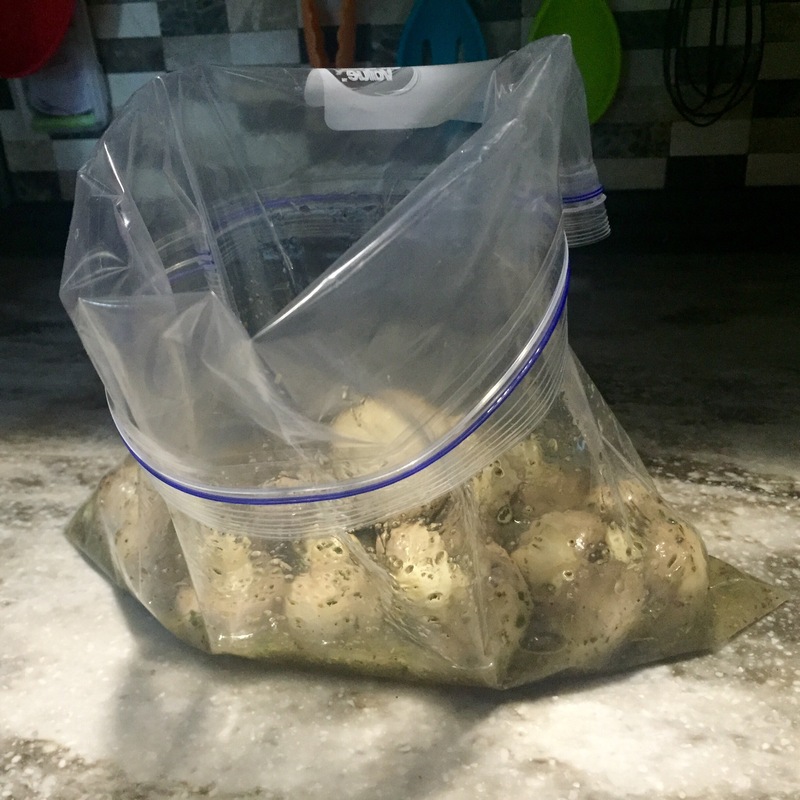 One tip I’ve picked up recently (probably online or on tv somewhere)… When you are putting stuff into ziplock bags, whether it be mushrooms or chicken or whatever, if you fold the top of the bag down, it’ll stand up by itself! Making everything a whole lot easier, especially if you have raw chicken hands!!! 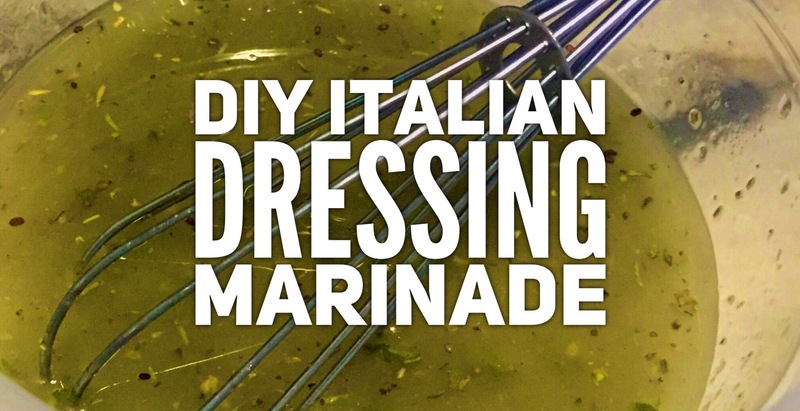 This entry was posted in DIY, Food, recipe and tagged DIY, dressing, food, homemade, italian, italian dressing, italian marinade, marinade, marinade mix, recipe by Rachel Gillen. Bookmark the permalink.